Fed up of not being able to read your tablet, smart phone or kindle because of the bright sunlight?? Why not try a book? We have a varied selection at the reception office at Maria Apartments Pefkos . 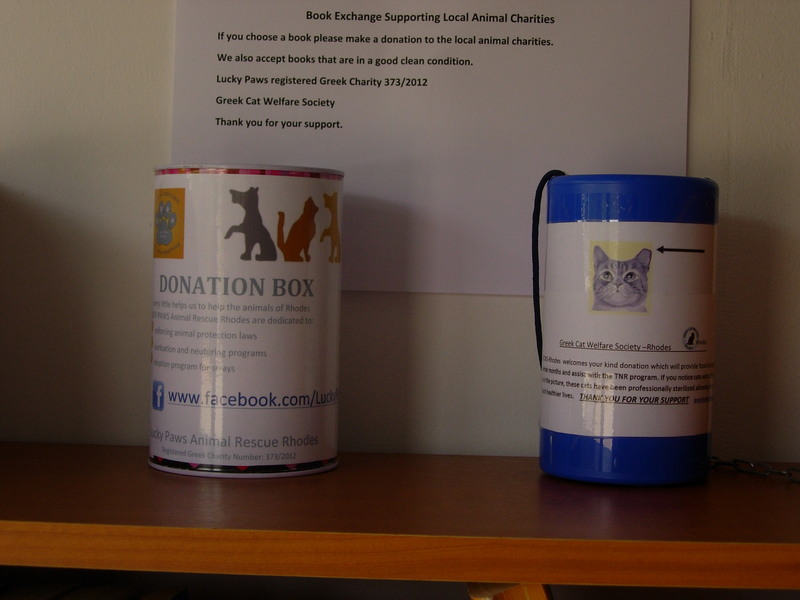 We are once again raising money, through donation, for the animal charities here on Rhodes, GCWS and Lucky Paws Animal Rescue Rhodes . We have a great selection of books and just donated today, A Time of Gifts, Patrick Leigh Fermor and Crete, The Battle and the Resistance by Anthony Beevor. We are open Monday – Saturday 10-1 and 6-8.30….